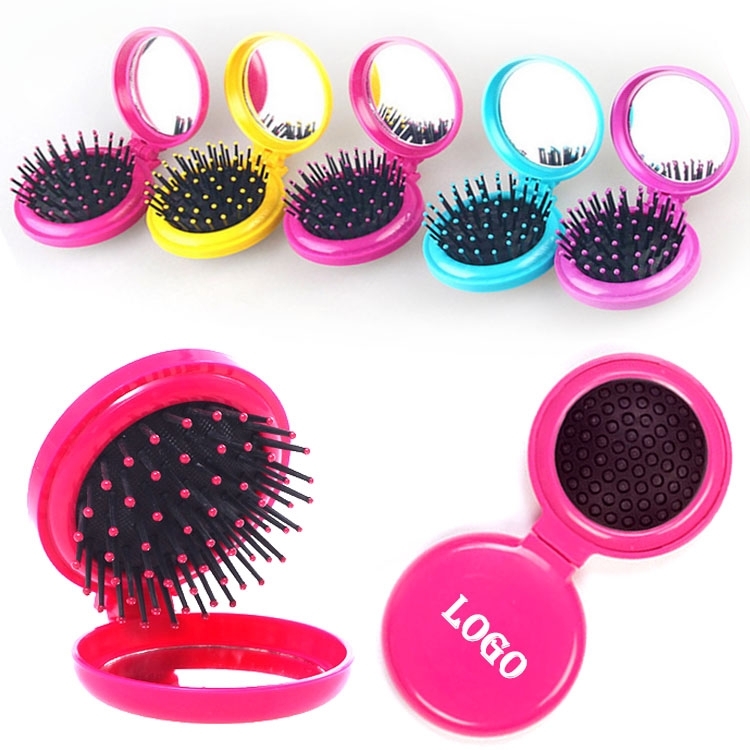 This convenient, small, round compact opens to reveal a mirror on one side and a hair brush on the other. Just push on the soft plastic backing to expose the hair brush. The bristles tuck away when the mirror is closed. This portable round mirror with comb is made of ABS, easy for carrying. Mini size fits right in pocket and purse. Great gift for salons and cosmetic stores.